Of course His body is also a metaphor. And as metaphor it insinuates itself into every dimension of our religious experience. We are his body, collectively and together, the body of Christ. His broken and reconstituted body is the metaphor for the unity, single-heartedness, mutual commitment, affection, burden-bearing, and community of saints. 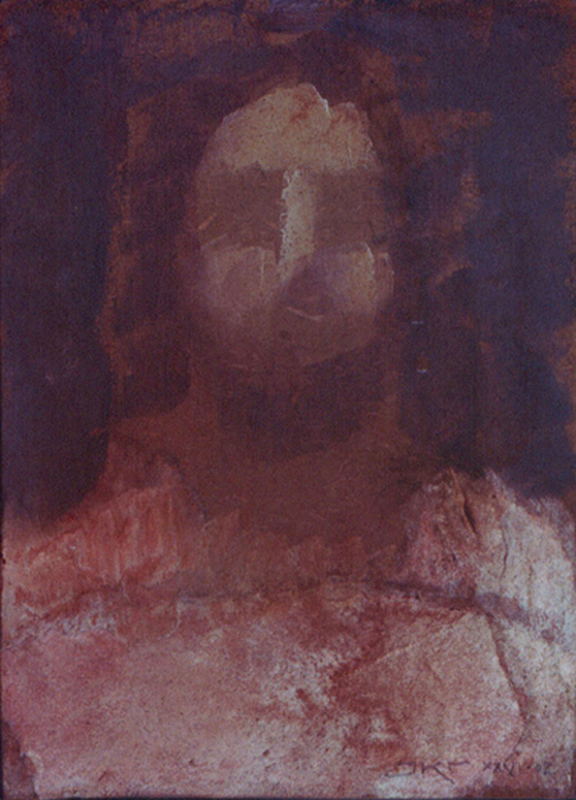 Christ’s body also occupies the core of our ritual representations, from emulation of its burial in baptism and the disturbing reminder of the brutality to which it was subjected in the sacramental meal (body separated from blood is a body violently broken), to its mysterious but looming presence in the temple. It is the dominant metaphor of our communal and ritual lives. But as a measure of our service to others, the metaphor is also real, if only because possibly real. The vagrant whose outstretched hand I ignore and the doomed prisoner whose place i choose not to take. They are not mere metaphors for Jesus which motivate us to charity; because the possibility always remains that they are, in fact, Jesus Himself, hidden before our scaled-over eyes in plain sight. Charity is not just virtue motivated by imposed obligation but the product of a kind of reverse paranoia experienced by the disciple who seeks place at the Messiah’s right hand and knows that the resurrection is real. In a time when the specter of the brutalized detainee (and my own and your own possible identification as such), stripped of the trappings of proper personhood (due process, dignity, bodily integrity) haunts our political discourse, the season is a timely reminder that the ultimate meaning and purpose of our existence begins and ends with the tortured, broken-bodied, executed political prisoner. And that The Prisoner, like all prisoners, was once a lowly, utterly dependent, and miraculous newborn Child. Amazing, Brad. I have just been reading about Bradley Manning and the law passed by Congress, and this hit me really strongly in that regard. Thanks, Brad. This is beautiful. Brad, thanks for this thought provoking Christmas gift. The older I get, the more I realize that being able to see the divinity in others is one of the keys to peace and happiness in my life. It occurs to me that our acts of remembering, in ordinances and personal devotions and even blog posts, are concrete acts of re-membering — of actually gathering and rejoining the broken pieces of a body and a life (his, yours, mine) and opening space for both the breaking and the mending to have eternal meaning. That’s profound, KLS. Thank you. Nice work, Brad. Thank you. I kind of thought that when I read your post. Corpus Christi fits nicely . Thank you, Brad. Much to contemplate here. And I love your inclusion of the J. Kirk Richards painting. His are some of the few suggestions of the Savior which I like, probably because he leaves the face in shadows, letting us choose the image or the metaphor–the eyes, for example, of a prisoner /detainee waiting for a miracle. Brad, well said. So often we take upon ourselves the prerogative of weighing the worth of those we are called to go through this life with, and serve only those whose value figures into our flawed equations. I love the perspective this post takes. Would that all Christians remember this aspect of Christ’s call.